Direct Investing puts all the tools to invest, along with advice and insights, in your hands. Do your research. Buy, switch and sell. All in one place. Not sure whether this option is right for you? Separately managed accounts (SMAs) are a portfolio of investments that are owned by a person but managed by a professional investment manager. 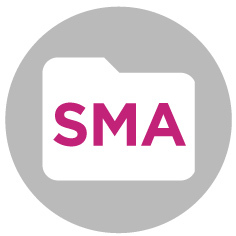 SMAs allow you to see exactly what investments are being made for you, without the hassle and stress of doing it yourself. Also, when you invest through an SMA you own the investments directly, so you benefit from things like franking credits. Through brightday, you can invest in any of the SMAs on this approved list. To invest or sell, all you need to do is complete one simple online form. Fund manager fees are charged in addition to brightday platform fees. Each SMA's fee structure differs, but the fee is generally between 0.6 and 0.95% and is deducted from the cash allocation of your SMA Model Portfolio. Not sure what mix of investments is right for you? Use our portfolio planner to find out, in just two minutes, how you might invest your money to achieve your objectives, based on the information you provide. Yellow Brick Road Financial Planners Pty Ltd ABN 42 124 553 206, Corporate Authorised Representative 001240326 of Yellow Brick Road Wealth Management Pty Ltd ABN 93 128 650 037 AFSL 323825. The information presented by us is general in nature and does not take into account your personal goals and objectives. It does not represent financial product advice. You should always seek independent legal and financial advice before making a decision in relation to a financial product. Read the Product Disclosure Statement (PDS) before making a decision. You should consider your own circumstances, needs and financial objectives before making a decision.